Permanent Syrian envoy to the UN Bashar al-Jaafari has emphasized that the US presence in his country runs counter to a UN Security Council resolution which stipulates preserving Syria's sovereignty and territorial integrity. Speaking at a UN Security Council (UNSC) meeting, Bashar al-Jaafari, Syria's permanent UN envoy, has pointed out that the future of his country should only be resolved by Syrian people, according to the Syrian Arab News Agency (SANA). Al-Jaafari hit out at the US presence in Syria, which he said violates UNSC Resolution No. 2254 on the preservation of his country's sovereignty, independence and territorial integrity, in line with the UN Charter. He also lambasted efforts by "some states" to support "the repeated attacks conducted by the so-called US-led international coalition on Syrian areas." "The latest of which is the illegitimate attack on Syrian popular forces fighting the Daesh terrorist organization (ISIS) in the east northern countryside of Deir ez-Zor on February 8 which clearly shows the reality of this coalition and Washington's role in supporting Daesh terrorists," al-Jaafari said. According to him, backing terrorists in Syria remains the main task of the US-led coalition. Al-Jaafari was echoed by Alireza Miryousefi, a spokesman for Iran's UN mission, who pointed the finger at the US for playing a key role in the expansion of Daesh and other terrorist groups across the region. "The US government has been instrumental in the growth of Daesh and terrorism in the Middle East. Its misadventures and illegal interventions across the region, especially Iraq, Libya, Lebanon, Afghanistan and Syria, are destabilizing and have had disastrous consequences for these countries and the region," Miryousefi underscored. He added that blaming other countries will not help the White House to "cover up its destructive role" in the Middle East. Miryousefi's remarks came after US envoy to the UN Nikki Haley described Iran as a "destabilizing" force in Syria during her speech at a UN Security Council meeting. She supported Israel downing an alleged Iranian drone over Israeli territory. 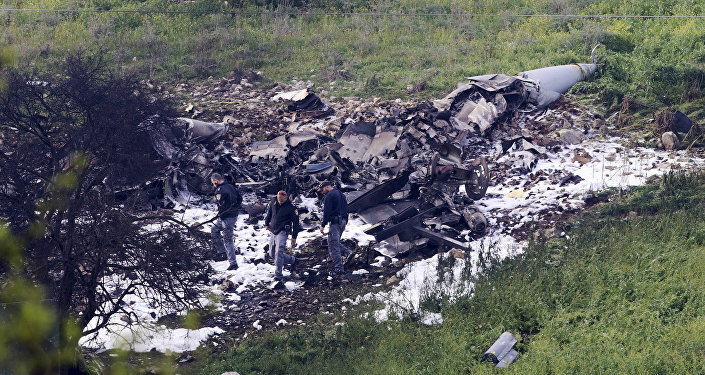 Tel Aviv later responded by ordering an airstrike on Syrian targets, prompting Syrian air defenses to retaliate by downing an Israeli F-16 fighter jet. On February 8, SANA reported that the US-led coalition had launched airstrikes on government-backed troops in eastern Syria, leaving scores dead and wounded. According to SANA, the coalition bombed local fighters who were battling Daesh terrorists and Syrian Democratic Forces supported by the US. The US presence in Syria under the pretext of fighting Daesh, which was neither requested by Damascus nor the UN, has been tarnished by the loss of human life and repeated accusations of Washington supporting terrorists.